"There's no fire in the lake" is a young French publishing house born from the meeting between Gregory and Mary Bodel, turners tabletiers business, and FX Balléry designer. Their passion for creation, love of wood and their origins Jurassiennes have gathered around a common project: to create and edit objects and small furniture contemporary, elegant and useful. Inspired by traditional skills and techniques present these objects primarily use wood as vector poetic, aesthetic and functional. For "There's no fire to the lake", the design is a way of telling stories. 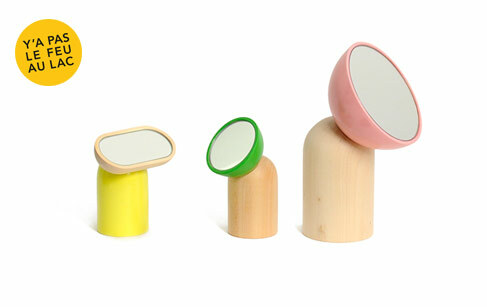 Brand publishes contemporary accessories, useful and warm revisit forms included in the collective memory.